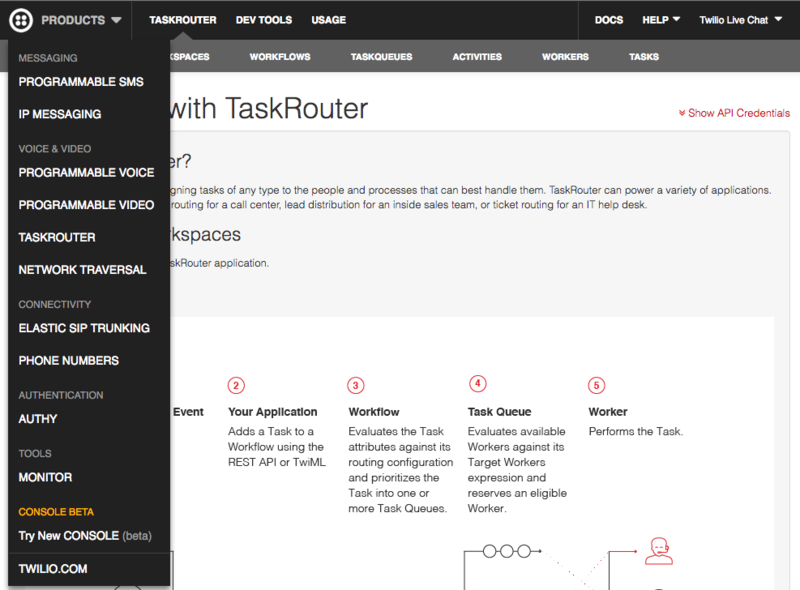 Today, we are excited to announce beta access to the Twilio Console, an all-new account portal. 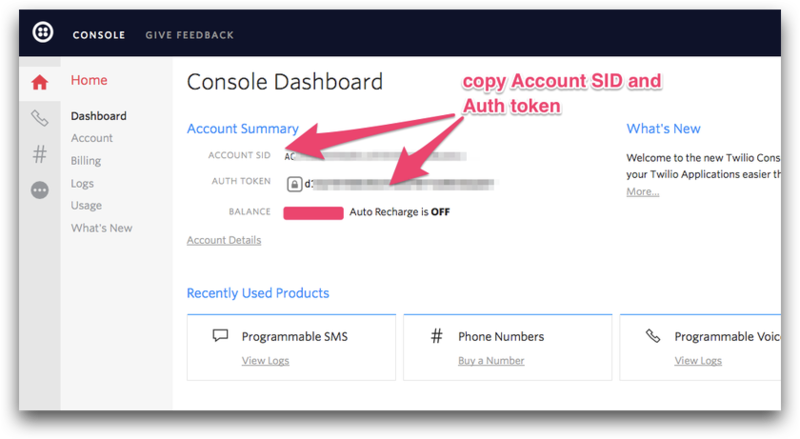 The Console is a complete visual and functional update providing easier access to manage your account as well as debug and operate your Twilio-based applications. When Twilio began we had one API: Voice. In 2008, for the first time ever, developers could add phone calls to any application with a few lines of code. Then we added SMS. In these days our developer portal was simple. The Twilio API was one unified product. You could log in and within a few clicks you could manage your voice and SMS configuration easily. As Twilio evolved from a phone calls & SMS API into a full suite of communications tools we needed a way to handle the additional complexity. Our original portal wasn’t designed to accommodate this breadth of functionality. It was time to re-engineer. When we started our redesign, we wanted to keep things simple and easy-to-understand while we added more features. To make sure our design updates were on track with this goal, we conducted several months of usability testing. Each month we hosted multiple moderated 1-on-1 sessions. Both new and existing Twilio users were invited to test early versions of the Console. We recorded their screen, along with a video of their face as they were asked to perform various tasks. Yeah, it’s a little strange to watch someone’s face as they test out your product, but a wrinkled brow or the hint of a smile tells you instantly what works and what doesn’t. We took this qualitative feedback very seriously as we iterated the design and moved towards a more friendly UX. A sincere thanks goes out to everyone who helped us revise early versions of the Console to get to the experience we have today. Here are just a few of the many updates and improvements. When logged in, users now land in the Console Dashboard. The dashboard surfaces quick and contextual information, like the products you’ve recently used, as well as links out to the rest of the Console. The new left-side dock provides quick access to the products you use the most. Click on the all products icon to get the main menu. You can pin and unpin products from the dock. The Developer Center is a new section that now includes tools to help you build and debug your apps. Here you’ll find familiar developer tools like Alerts and API Keys as well as brand new functionality like native TwiML Bins. Every page has a responsive design so you can view the Console at various resolutions. It now fits nicely side-by-side next to your favorite editor. For a full list of improvements log in to the Console and check out the what’s new page. For a the next few weeks you’ll be able to freely switch back and forth between using the beta version of the Console and the existing account portal. Keep in mind that new products and features will only be added to the new Console as we move forward. To go back to the previous account portal, hover over the beta tag and click on Exit Beta in the top menu. The new Console experience has gone through extensive beta testing including many hours of screen recording and usability testing. If you find additional improvements we can make, please click on Give Feedback in the top menu. We’re super excited to offer this new and improved experience. Today’s announcement is just the start of many updates we have cooking. Be sure to come to Signal, The Developer Conference for Communications to meet the Twilio UX team and see everything we are launching. To get started exploring all of the new features and functionality log in to the new Console.